Sharing the Adventures in The North of my Plastic Friends. Only yesterday we wondered if LEGO was crippling our future generations of Astronauts, Scientists and Female Pirates alike and we got some great reactions on all our social platforms. Most (if not all) of you were pretty conviced the future of Planet Earth was not at risk, and we could count on the wisdom and imagination of our younger generation to take the dollhouses and spaceships into the future, regardless of gender. One post went a few steps further and actually gave a very thorough walk-through of gender diversification throughout the history of this little brick we call minifig. A post I could not let be hidden in the comments, and really needs it place here on the main page for all of you to enjoy. 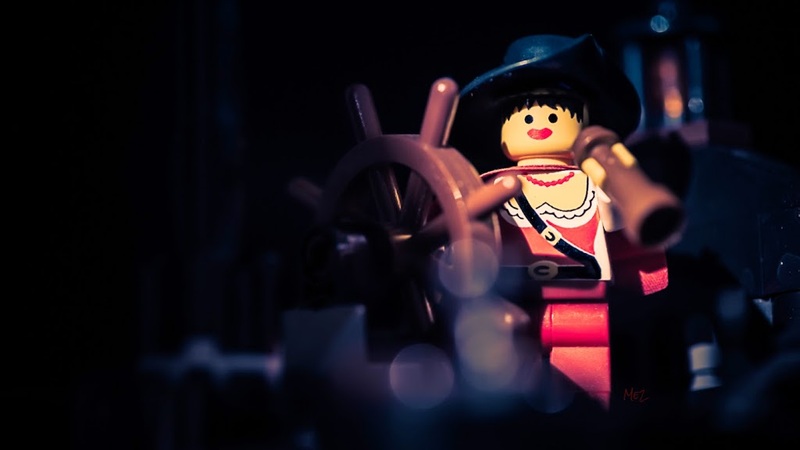 ” … I believe that the Lego Group are also dealing with the same concern everyday, from a commercial point of view since their target sales heavily relies on the answer(s) to this question. Since Lego produced the ancestors of today’s modern minifigures back in 1978, they used almost no features to distinguish the characters, rather than those basic hats for the stereotype male and ponytail hair for his female counterpart. They had identically smiling faces with black button eyes, and their skin color was chosen yellow on purpose so that it does not reflect any racial difference. (Note that only a decade back, the people were being killed on streets of US depending on their skin color. –maybe not very different than today..) This may be considered a very clever move for the company for many coming years. But things started to change with the first Pirates theme (one of my all time favorites) released back in 1989. The figs were still those yellow guys (and a few gals) but since you could not think of any pirates without eye-patches and long beards (mascular reference, again), the faces began to change. The expression on their face was still that same euphoric smile, but now the men had beards and mustaches while the first female fig with lipsticks came into ranks. In a few years, they would start to differ in terms of facial expressions and this would spread in nearly all Lego themes, Castle and Town to just name a few. But the female population were still short in number according to men. Think of all those knights, henchmen, cavalry, pirates and soldiers.. This was not a world for cute ladies! Except of course, the unmistakable “Maiden” of Castle series, the female forest ranger and the female pirate. You will see that these are still amongst the highest priced figs on the web if you can find them in good shape. Even the Western series did not attempt to change the iconic yellow skin color in 1996 when they introduced the Indians (natives of America, not that of India) But in time, another iconic property of all figs would start to differ: Their age! Those tiny people were ageless for a long time, and now they started to show their experience of life with white hair and likes, while we were about to see the first children characters with shorter and unmovable leg parts in the coming years. Yet, as always, what changed the game was again the commercial concerns. In 2003, Lego Group decided to release the NBA star players theme, an officially licensed one. Now we had figs that resembled the real players, and they had to introduce new skin colors to manage that. (Btw, need one of those heads to make my Bob Marley fig!) After that, Lego Group spread into many officially licenced themes ranging from Super Heroes to the Lord of the Rings, and inevitably new tones of colors spread amongst the figs, reflecting the variety of humanbeings in real life. However, the subject was the gender inequality of minifigs, wasn’t it? The introduction of Collectable Series, which took many of us AFOLs back in the game, used the opportunity to fix the problem quite successfully. I did not personally count them but I’d guess at least 1/3 of them or more are females in each series. Add to that the female characters from licenced series (ah, the Wonder Woman!) and dedicated series such as Friends, now it seems a little more balanced, doesn’t it? Thank you telefonfotografcisi for sharing this rich history with us, I really enjoyed it. I did a quick count at the latest series 13 and I count actually 9 female species on first observation out of 15. How many did you count ?